San Diego Padres affiliates went 3-2 on Sunday. Here is a recap of the day’s events. 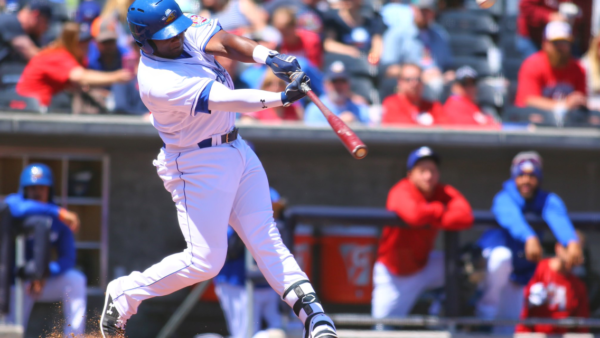 El Paso has been playing better ball of late, and they took the final game of a series with the Reno Aces. The Chihuahuas knocked out 15 hits and walked seven times in the game. Six total players recorded multiple hits in the game, and three Chihuahuas slammed homers. Jose Pirela went 2-for-3 and is hitting .364 on the year with a 1.056 OPS. Jerry Keel was wild but effective in the game, scattering five hits in his five innings pitched. He only allowed one run to score and earned his first win of the season. Cody Tyler was knocked around a bit out of the pen, allowing three earned runs to score on seven hits in his three innings pitched. Reggie Lawson did not have it on Sunday as he was only able to go 1.1 innings and took the loss, allowing five earned runs to score. Andres Munoz continues to have command issues as he walked two and allowed a hit in 0.2 innings pitched for the Sod Poodles. Two errors by the Soddies accounted for five of the Hooks’ total runs in the game. Buddy Reed, Jorge Ona, and Edward Olivares all homered in the loss. Reed now has six on the season. 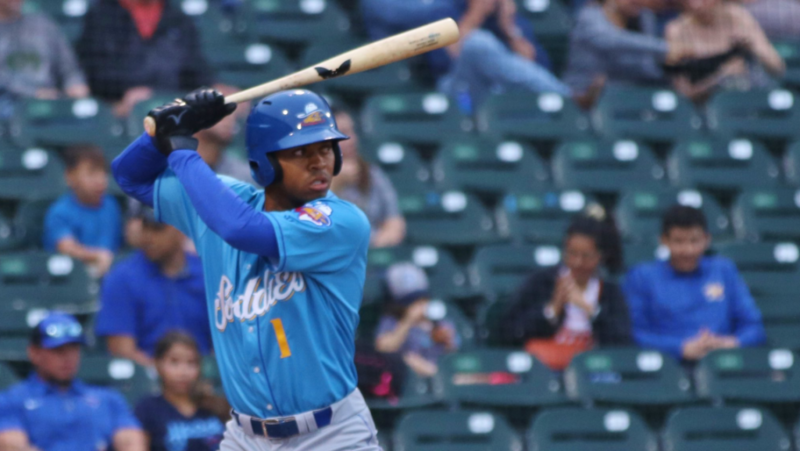 The switch-hitter is not known for his powerful bat, but he has been able to drive the ball in Amarillo. He currently owns a .971 OPS. Evan Miller earned his third save of the year, throwing two scoreless innings for the Storm at home against the Inland Empire 66ers. 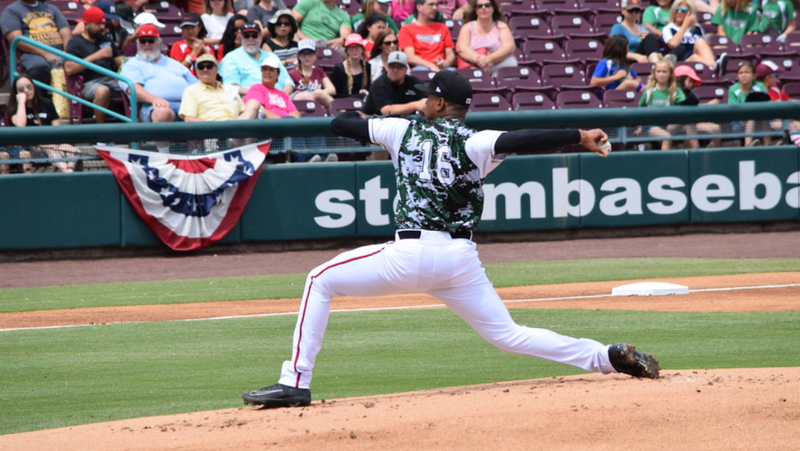 Ronald Bolanos was on the mound from the start and threw five innings, only allowing two runs to score. The Cuban right-handed pitcher struck out six and walked three in the game. Lake Elsinore is off to a hot start. They knocked out only six hits in the game, but managed eight walks. Olivier Basabe walked three times in the second spot in the lineup, and Jeisson Rosario walked twice from leadoff. 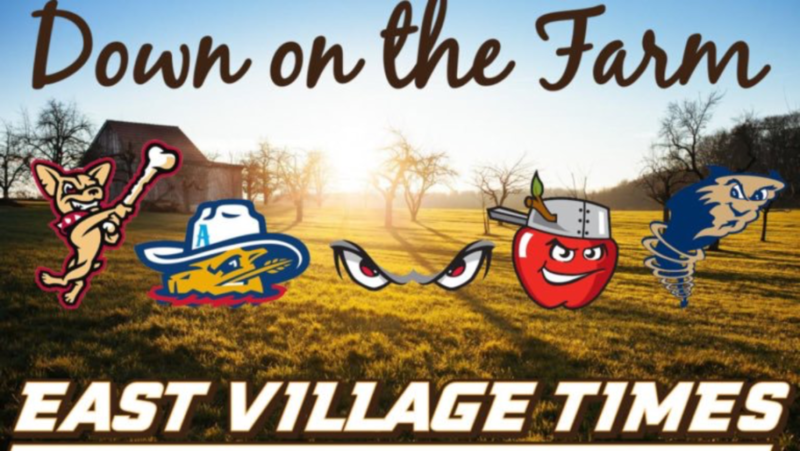 In the first game of a non-scheduled doubleheader, the TinCaps beat Bowling Green 6-0. The game started on Saturday but was suspended after just three innings as a storm came in and washed out the game. Fort Wayne was up 3-0 when the game resumed in the fourth inning. Out of the pen, Henry Henry was solid, going 4.2 scoreless innings, allowing only three hits and two walks while striking out one. He was pounding the zone and getting ahead early, which is a good thing for this young Dominican pitcher. Blake Hunt and Xavier Edwards both recorded three hits, and Michael Curry homered for Fort Wayne. 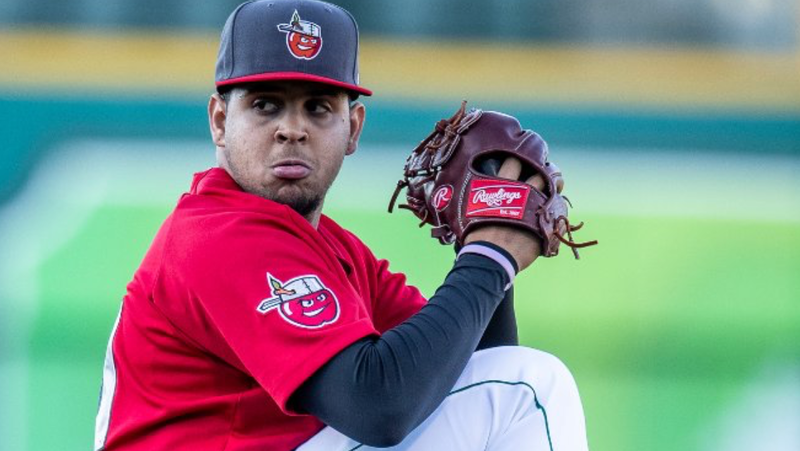 In Game 2 of the doubleheader, the TinCaps had Ramon Perez on the mound. The Cuban left-handed pitcher threw well, going six innings and allowing one earned run to score. The second game was scheduled for seven innings, but went eight total. Dan Dallas blew the save in the eighth after the TinCaps earned a one-run lead in the top-half of the inning. Kaleo Johnson singled, scoring Bryce Brown for the game-winner. Jawuan Harris was the hitting star, going 3-for-3 at the plate with a homer. Blake Hunt recorded a stolen base and walked twice in the loss. No matter who writes these, they are always well done and helpful. Thanks! I like the summaries, and the separate part with key players and their stats for the games.